Increasing the range of electric vehicles remains one of the biggest challenges in the automotive industry. 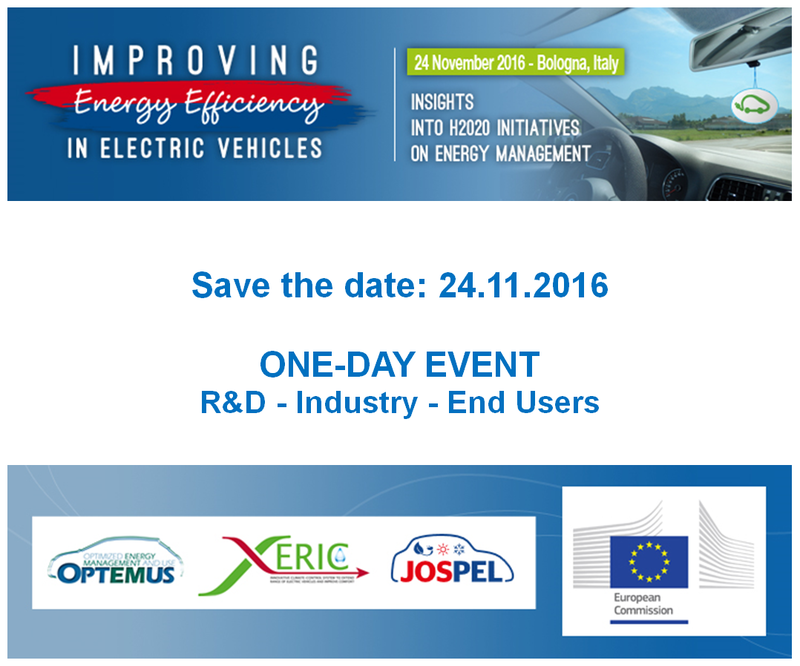 As a result, 38 partners from 3 EU-funded projects have decided to organise a one-day event to share their insights on the latest trends and technologies to improve energy efficiency in electric vehicles. – You’ll grow your network and establish new contacts for collaborations thanks to bilateral meetings that you’ll have pre-booked online. This one-day event will take place on November 24, 2016 in Bologna, Italy. Online registration will start in June on a dedicated website. You’ll receive an email when registration opens. Three EU-funded projects that have taken up the challenge of systematic energy management in electric vehicles based on the integration of components and sub-systems. If you have any questions or need more information, don’t hesitate to get in touch with our Communication Officer, Guylène Soula, at guylene.soula@univ-montp2.fr. Our goal is to develop synergies between research and industry and to achieve an extensive optimisation of the energy consumption in electric vehicles. So save the date and make sure you join us for an exciting and informative day!